Information The Africentric Heritage Park is situated on Vale Road in the South end of New Glasgow. The park opened in 2000 and bears the inscription “to our children." It was created to commemorate the past, focus on the present and provide a foundation for the cultural future of African Nova Scotians. 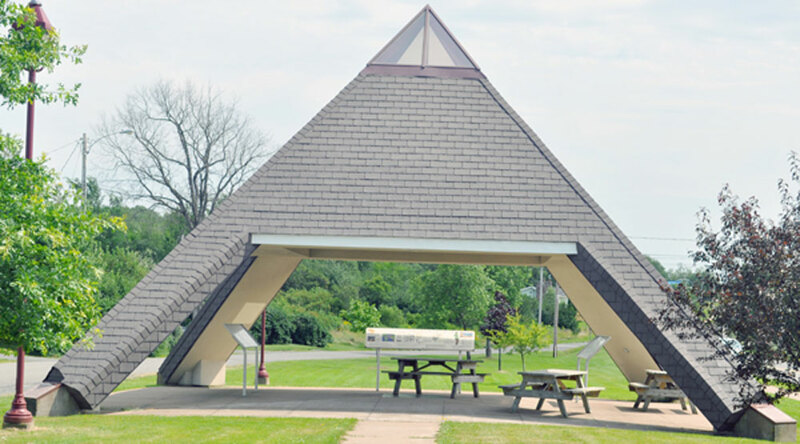 At the heart of the park is a pyramid-shaped building, which symbolizes the pyramids of Egypt. Each side of the building represents a portion of the history and migration story of the Black community in Nova Scotia.